Over on the Goemon International YouTube channel I've uploaded a short video that showcases an early promo for Mystical Ninja Starring Goemon (or at the time, Ganbare Goemon Neo Momoyama Bakufu no Odori!). In 1997, Konami sent out a promotional VHS which showcased their software titles for that year. With the Nintendo 64 being the fresh new console, Konami had quite a few games in the works, including a 5th, full-3D instalment of their beloved 'Ganbare Goemon' franchise. The video has aged as well as you'd expect for 22-year-old CGI, but is still of interest to us as it shows us some screenshots from beta builds of the game. Big thanks to Jimmy130 for allowing me to use this footage. English subtitles are available too, thanks to gecha! The video also contains some flashing imagery (an infamous trait of some Japanese videos from the 90's), so please refer to the YouTube video description for the timecodes if you are photosensitive. Ganbare Goemon 2 Fan Translation Complete! 2 updates in one month! Ah-wuuuut? Dropping by to say that a fan translation has been released of Ganbare Goemon Gaiden 2! Big Band Jazz - I Am Impact! In similar fashion to my previous update (9 months ago...), today (27th of June, 2018) Konami have once again released a new round of skins for Super Bomberman R.
And similarly to the below, this is likely the first English voiced Ebisumaru in a game. Just need Sasuke and Yae, then we can claim that Everybody's Here. Back in April, Konami bought the domain Goemon.com. Those of you have been on the Goemon online scene for a while will know that this used to be the URL for the first (Western) Goemon fansite - The Mystical Website of Goemon. Now, Konami have finally taken the domain for their own. For a short time after Goemon.com went live, the website redirected to the the 2005 Goemon website. Interestingly, after a few days this redirect stopped, instead leaving us with a blank webpage. This led to quite a bit speculation - is this a sign of things to come? Are Konami teasing us? With E3 coming in less than 2 months, there was speculation among Goemon-fans about potential news. Sadly though, nothing as of yet. Even sadder, if you view the page source, you can see that the website just wants to redirect to the 2005 website. Potential web admin incompetence at Konami? I'll let you guys decide. Super Bomberman R for Nintendo Switch has had quite a few updates since its original debut with the console's launch. In these updates we've seen game improvements, new features and (interesting to us) additional character skins based on Konami franchises. This may also be the first time ever we hear Goemon with an English voice in a game! Okay - it's not the Goemon game we all want, but it IS nice to see him appear in a non-mobile / pachinko game, at least. In other news - I have no idea what's going on with the forums. InvisionFree (which is now zIFBoards) has merged with Tapatalk and, as a result, has taken ownership of the forum. You can still login with your old accounts, but it's slightly jarring. I'll see if I can restore it / fix it (cause I know you're all just raring to go and post there). Konami has recently released both GG2 & GG3 for the New 3DS Virtual console. That now makes Wii, Wii U and 3DS virtual console! 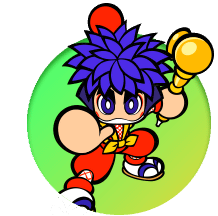 Today marks the 20th anniversary of Ganbare Goemon: Neo Momoyama Bakufu no Odori! This title was the first to introduce us to 3D Goemon, and paved the way for the international release a year later which introduced the franchise to many. 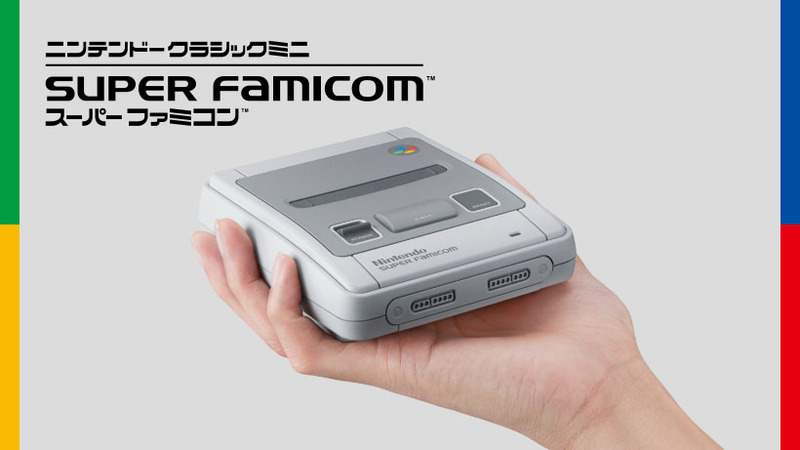 With the exciting announcement of the SNES Mini for US and EU just yesterday, today we learn that there's also going to be a Super Famicom mini. Unlike its Western counterparts however, the Super Famicom comes with a copy of Ganbare Goemon: Yukihime Kyūshutsu Emaki (がんばれゴエモン〜ゆき姫救出絵巻〜) built in! We've seen this title appear on the virtual console, but to have it actually built into the hardware shows that there's still a fondness for Goemon. Shame it's Japan only! For more info, see Nintendo Japan's official article: Click here! As reported on Famitsu, a whopping 10 Disc CD compilation of Goemon music is being produced by Egg Music Records, due to be available from May 26th, 2017. This CD set boasts over 600 Goemon-tastic tunes, featuring music from most of the non-3D entries in the franchise. That's all for now. If you haven't checked out already, we now have a YouTube channel. I recommend checking out the Fan-music playlist, as it is constantly growing. Keeping with KONAMI's recent business practices, we yet again see Goemon make a cameo in an App - Mahjong Fight Club Sp. Find more out here and here. EDIT: It has been brought to my attention that people are having issues registering on the forums due to not receiving the Validation Email. If you sign up, please sent me an email from the 'Contact Us' section on the left, and I'll approve your account for you. Hey! Popping in to say that today marks the 30th anniversary of Ganbare Goemon! Karakuri Dōchū on Famicom. Released just a few months after the Arcade release of Mr. Goemon, Ganbare Goemon! Karakuri Dōchū delighted Famicom owners all over Japan and instantly became a classic. Thanks to this success we saw the Goemon franchise grow strongly in the 90's & early 00's, and to this day Ganbare Goemon! Karakuri Dōchū has been made available on over 8 different platforms! If you can, load up a copy today and pay tribute to our Mystical Ninja. Peace! Ganbare Goemon Gaiden: Kieta Ougon Kiseru on Wii U! Hey! Does anyone still visit this site? I hope so! Plenty of other great Goemon remixes on their channel, so check it out! Nothing new on the Goemon front I'm afraid, except that Konami has recently backed out from creating AAA games to focus on IP based Pachiko games. Well, Goemon was the first to suffer that, then Silent Hill, Contra. No doubt we'll be seeing Metal Gear Solid machines soon. Such a shame. As for the site, can't say I have much planned at the moment. I'm aware it's in need for some modernization and TLC. I'll see what I can do, given limited time. Feel free to post on the forum, it lets me know people still visit. Forums are so 2005 though, it's all about them thar tumblrs these days. Anyway, that's enough from me. Have a good day, peeps. KONAMI are currently holding a survey asking us which of their heritage franchises should be revived. Mystical Ninja is listed among other Konami classics like Pocket Knight Adventures and Suikoden. Link to the survey: http://mobilesurvey.blicx.com/? Hey guys (if any! ), it's been a while. I've not forgotten about GI, and I'm aware it's in need of some major TLC. This is just a short update about a cameo Goemon has in a mobile app called 'Kingdom Dragonian'. He's got the same awesome style and the look as the Pachi slot games, which makes it an even bigger shame he doesn't have his own title! That's all for now. If you read this, thanks for sticking with us. Hey everyone! Just a quickly to say that Ganbare Goemon Gaiden is being released on the Japanese 3DS Virtual console next week. You can see the official page here. I know GI is in a bit of a mess at the moment, and the news comments are still broken. Maybe one day... one day. Tak Fujii Takes to Twitter! This is interesting as it shows Goemon has been on his mind... Could something be in the works??? What's also interesting, whilst also frustrating... I asked him if he happened to have any news to share... He then deleted my post a few hours later... What could this mean then!? It's too soon to get overly excited, but its significant & it's important us fans show our support and make it heard we want to see more Goemon. So be sure to check out his twitter and post some responses! I personally feel something could be on the horizon & will keep my eyes wide open should anything more happen! Time will tell...! Thats it for now, will be back with an update soon... with some new media goodies, which you're all gonna love! It seems that Wai Wai Racing or otherwise known as Konami Krazy Racers actually had a sequel created in 2009 for iphone & Android phones! This is known as Krazy Kart Racing! It's good to see based on videos i've seen that Goemon is included and again has his own themed race track level. I must say the model of Goemon is slightly ropey but I guess they had to watch it with the graphics... I've not had time to try the game out for myself but it is still available on the app-stores, so be sure to check it out for yourself! Couldnt resist putting this image up... to mark the 100th year anniversary of the Titanic, Goetanic style! Well, the Auction has come to an end! Thankyou for everyone who showed their interest! What's the name of the first Goemon game ever created? Email me using the title 'Goemon Comp' and start your email with your answer; A, B or C and include your name and address! Winner will be selected at random and will be announced when the Competition closes on 22nd April! Don't Forget to Enter That Competition! Ganbatte Kudasai! I also have a small gashapon of Yae from the Goemon Anime era, it looks like a early uncoloured version. I decided I wont be selling it. Instead i'm going to have a small competition! The update for that competition will be very soon! It feels really wrong for me to be doing this... But I'm at a point where I really need to make some money (otherwise this wouldnt be happening...!) ...Oh the joys of being a student in this economic climate! Everything you see in the photo will be available on ebay starting 6th April until 14th April, all listings ending approximately 20:30. This auction will be running for 10 days. Just to make things clear... I'm still and ALWAYS will be a fan of Goemon and I'm keeping my most valued items such as the games. I'm parting with these things because 1.) I don't have a NTSC VCR... 2.) I can't read or understand Japanese and 3.) I feel these items would be better with someone who didn't keep these sealed away in a dark storage. I've just not had any use out of these and would love to give other fans the oportunity to own these... I'm becoming less materialistic. I am one who does take care of things and like to keep things in the best condition possible... For example, I was always afraid to have the animation cels on display incase of sun damage... So they're wasted on me! The VHS tapes for the Goemon OVAs are also bit hard for me to let go of, since these were so hard to obtain. But ultimately I did what I wanted to with them, which was share them online with you all and I was the FIRST to ever get these OVAs online! I know I can always watch these versions so i've never had the need to even buy an old VCR. I will post another update when these items are available (6th April), alongside with ebay links. Don't miss out this oportunity, if you are looking for any of these... as some of these things are VERY RARE... especially outside of Japan! If you have any questions, please let me know under comments of this update. Also if you are only interested in one or two of the mangas and would rather these individual, we can come to an agreement if before auction ends. Just a small update: Ganbare Goemon: Kurofune Tou No Nazo due to arrive on the 3DS virtual console in Japan next week. One could expect this game to be released in Western territories later on as it was one of the few that originally made it overseas, being released along side the N64 games. First of all, I want to apologize to you guys for lack of site content and the general dead atmosphere. I am still aware GI exists, I still love Goemon, and I'm still proud to run this site for Sonicdude. However, the usual lame excuse surfaces again: "I'm busy IRL". Sadly, it's true. I'm currently doing a Masters course for 3D Design, and this semester I have 6 courseworks. 6. Anyone who has tried to model, render and animate large projects shall know what a weight 6 courseworks can be. Due to this workload, getting my new content ready the site falls to the bottom of my priorities. My apologizes for this. I also want to apologize for the site's state. I want to get the comments fixed soon, but it's a tricky job. We had a major spambot issue, and it was basically 100223 spam messages Vs 3 legitimate messages. I really can't delete 100223 messages manually, so I have to delete all messages at once, losing the good stuff. In order to prevent this happening again, I disabled the comments. They will return when I have the time to install a proper captcha system. I have some stuff I will share with you guys eventually, it's all just a time thing. Think of it as a mini-hiatus. I'll still be about though, and am definitely am not ditching the site. Pace is just slower than normal. Imagine the site's status to be like Goemon information today: Slow. Despite this, don't lose hope and GI will be have new content soon. I promise! If you want to contact me, staff page has our emails. Until next time, Adios! P.S: Happy new year and all that stuff. Just a short update to say that comments are now fixed. I noticed that they captcha system had broke, making it impossible to post. Hopefully I've fixed this now. Post a comment and I'll find out! Edit: And as soon as comments were back, they were gone until further notice. Spambots are to blame, I'll create a solution when I'm not bogged down with uni work, which I currently am. Sorry guys. I'll make it up to ya somehow. Long time no news, readers! I apologize for the lack of updates recently. Goemon information is slow as ever, and I've been too busy discovering PC gaming. However, I've got some news and manual scans for you guys today. While it's not quite the game we'd like, it's nice to see that Konami still somewhat acknowledges the existence of Goemon, which is always a good thing. Seems more or less the same deal as the first Pachinko machine, though we see some old characters re-animated in 3D, which is always a bonus. Hopefully there will be a OST released of this machine too, and if there is, you'll be able to hear it here. As for the Goemon International, I've got 2 sets of scans for you. One set for Goemon Gaiden 1 and Goemon Gaiden 2. Hope you enjoy these. I've got some other goodies to come, but I'll leave them for future updates. I also bring to your attention that Sarahsuke - who joined the site staff in 2009 - has decided to leave the site. It's a shame, but we wish you the best! That's all for now guys. Leave me a comment, lets me know people still visit our site! They did appear, but in Black & White. I will look into that further, later on down the line. Whilst viewing these tapes, I was gutted to realise that the 2nd OVA tape is damaged to a degree which is noticeable in the current capture, where frames would freeze and the tracking would be lost for some periods. I guess the original owner of the tape, played it too much! Hopefully another tape will surface and we can get them both captured to the best quality possible. So you can check out the new OVA Player right now, I hope you enjoy it! When you select the video box art, It takes you to a synopsis page in Japanese & English. I wasn't able to figure out the Kanji from the 1st ova case so that's not the original discription unfortunately. The 2nd ova however is exactly whats written on the back of the box and I "attempted" to translate it for the English discription. I may change it later on, as It doesn't look completely right. It's been quite hard to work out what these were saying, due to language barrier and I was having to rely on some google translation as well as my own interpretation from watching the OVAs. If anyone is able to type up the 1st ova discription or give better translations then that'd be very appreciated! Also, when I get back home later this week, I'll upload this CD single from Ganbare Goemon: Derodero Douchu Obake Tenkomori. It has four tracks consisting of Smile Again and Double Impact in Vocal & Karaoke versions. I'll update this news section once it's available. I hope you enjoy the OVA Player, Its currently being Hosted with somewhere that i'd like to think will be temporary until we can find a new host, as our current has unfortunately let us down. But for the time being this should be working with no problems occuring. And before I go, I'd just like to give my condolences to all those in Japan that had been experiencing the traumatic Earthquake and Tsunami. 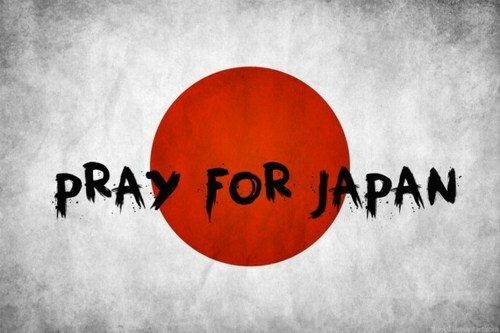 Our thoughts go out to you all and we hope things will be picking up for you very soon... Ganbare Nippon!! Hey all, hope you had a happy holidays and continue to have a good new year. With this update, I provide the gift of manual scans. (Not like I gift much else!) 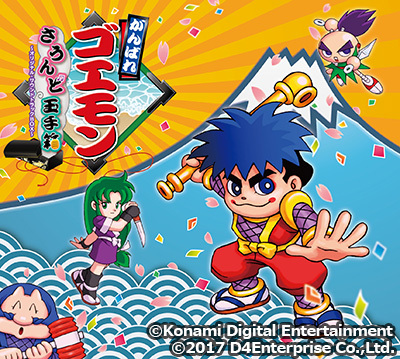 Today we have the Japanese version of Mystical Ninja Starring Goemon, aka Ganbare Goemon: Neo Momoyama Bakufu no Odori. I've actually had these for a while now, but finally got round to scanning them. Sorry for that. Not much in the terms of news on the Goemon front, really. Here's hoping for a Goemon 3DS title in the future. That's all for this short update really, so I leave you with this Minecraft Goemon Skin made by zargon19. Bye! Anime Flash Player & More! Hello Everyone! Sonicdude here! It's been quite some time...! I'm back with some updates, firstly... Me and Jingleboy spoke a while back about developing how the anime episodes were accessible. I noticed many people liked the Wii version of our site because of the option to video stream. So in the past two weeks I took some time to create a flash video player which allows you to view better quality video, select both languages and also download the original episode files. Admittedly, I would have uploaded even higher quality episodes but I pushed fileden's limits to its max. It will always be upgradeable should an even more generous file host appears. I'm also going to point out that I have now removed the Wii version of the site, because it deemed to be more a short term gimmick and it wasn't used to its full potential on the Wii. It's a shame but I don't feel it's needed anymore as most browsers will support this main site anyway. Also the Email account for the Wii message board has somehow been hacked and you may have noticed Spam appearing on your console... I'm really sorry about this, the account has now been closed. Please be sure to also remove the address from your Wii contact list. That's all for now... In the mean time, enjoy the new Episode Player and keep an eye out for my next series of updates! Hello dear people! Long time no update, and I apologize. You don't need to worry though, I've not forgotten this website and I certainly haven't lost my interest in Goemon! Been enjoying summer out and about, though I have had GI in my thoughts. Site-wise, nothing is new and again I apologize. I do have some manual scans on the way, but I don't think that'd really make up for the 3 month-lapse. At least I'm a staff member who updates... right? ...Right? In general Goemon news, those people out there who own an Xbox 360 with Xbox Live or Windows PC can now have access to the arcade game Mr. Goemon, which has been added to the Game Room. The Game Room is basically a virtual arcade, with such classics as Asteroids, or Atari games, such as Pitfall. Another interesting thing to note is Pia-Com II, which is the 2nd in the series of piano collaborations of Famicom games. Produced by famous video game musicians, it will include a piano version of the Ganbare Goemon! theme tune. More information here. Hopefully I'll make an update before this month ends, but we'll see how it goes. If you've got any ideas for the site then please don't hesitate to suggest. This month over at Dwelling of Duels they are having a Ninja-themed month. So if there are any skilled musicians out there, now is your chance to show off your skills and Goemon love. For those of us who don't know what Dwelling of Duels is, it's a website that hosts music contests each month to see who can create the best video game remixes. 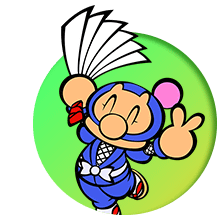 There was a Goemon contest back in June of '06, which is still worth checking out to this day. Since we all can't create music, we can still hope to see potential Goemon-mixed music posted on the 28th of May. Check here for more information. Brief update, but I'll be back with more Goemon things soon hopefully. Hello there! It's me again with more Goemon-related stuff. The main feature of this update is the Bouken Jidai Katsugeki Goemon manual scans, kindly provided by forum member arturcorreia! This makes Bouken the first Goemon title on GI to have both the official game manual AND the official game guide as well. Since today's update is mainly focused on BJK, I also reuploaded 2 beta footage videos of the game which were shown at Game conventions, but got lost from GI over the years. They are under the video section. Moonwulf - another forum member- has added his review for Legend of the Mystical Ninja for you guys to read. Due to current life, GI updates may be behind, but I'm not forgetting you guys! See you next time. Hey all, just a heads up that all 3 servers have been restored now. Sorry about the inconvenience beforehand. We will be hosting the manga eventually, when I'm not busy/procrastinating. We also have one more manual scan coming in the near future. Only took a while, but I've finally taken the time to upload some manual scans of Ganbare Goemon: Sarawareta Ebisumaru! You can view these here. Enjoy! I've been thinking about the site a lot recently, and stay tuned for new content. If all goes well within the next week or two, the 3 downed servers will be restored, as well as new section added to Goemon International! I could tell you more about that, but I wouldn't want to spoil it. Another matter recently is that of the Wii version of Goemon International. For those who don't know it exists (And the poll confirms there are many), it was a version of GI made in 2007 by Sonicdude_UK optimized for viewing on the Wii's internet channel. After a while, it was not supported as Sonicdude_UK had less time to manage GI, and when I took over in 2008 I had no means of control over it. Recently I finally got the control over it, and was wondering if it should be removed as an abandoned development, or maintained and fixed up like the original GI. The poll below has given me an insight but I'm still not 100% sure what to do with it. View the site below. Give it a check and then get back to me. Just to clarify, it is NOT a GI mirror or alternative, and is supposed to only be viewed on the Wii. Hey peeps, just a quick information-gathering news post! More content will come with the next update, I swear! Also, I ask YOU the Goemon fan - what would you like to see on GI? Leave a comment on what you'd like to see added to the site. Thanks and see ya later! Just a quick post to wish you all Happy holidays and the best in the new year! We're not dead, just hit a bit of a lapse, but it'll pick up in January! After repairing the server loss we'll have new manual scans to share and maybe some other things. Have fun all, and thanks for sticking with us! Hey all, got some bad news I'm afraid. 3 of our file servers have been deleted, which has caused some media to become inaccessible. Known affected media are the Manual scan downloads, screen savers, Japanese anime episodes and anime previews. I'm truly sorry for the inconvenience, we'll try get these up and running before the year ends. 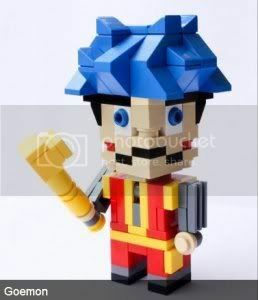 I leave you now with this amazing Lego Goemon! Made by Pierre Import as part of his CubeDudes creations. Long time no see! Just popping in to let you all know that Greegar's Ganbare Goemon 2 translation is finally finished! I've also been working on a couple of site projects involving the characters page and the addition of episode summaries for the anime. I can't say for sure when they'll be finished, but you can look forward to it! Now that the excitement over GI V2 has died down it is time for some real updates and news. Sorry for the wait! First of all, all the ISO links have been fixed. That means everything ever should work. If you find something, be it a broken link, image or typo, please get in touch. Paranoia! I'd like to mention Greegarr's Ganbare Goemon 2 translation! Been in the works for about 2 years now, and it's beginning to reach completion. You check out more info by clicking the image below. Must say, done a great job. It's great to finally have another Goemon game in english! TehResearchGuy over at Deviantart made an interesting Smash Bros. Brawl texture hack that I'm sure some of you might enjoy! There are some more interesting hacks in his gallery, check them out. I think that's all for now, keep on truckin' peeps! Hello, and welcome to Goemon International V2! Bound to be some problems in the new transition, so please report all errors you might encounter. Thank you for continually visiting here, it really means a lot to us! GG3 was released for Virtual console in Japan around the 16th of September as well. We hope you like the new design and if you encounter a problem, please contact me. Don't forget to update to the new RSS feed address!